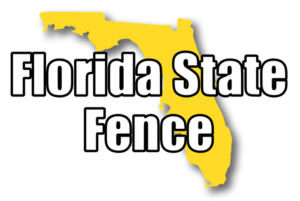 Florida State Fence is the largest, more respected fence company in the Tampa Bay & Lakeland areas. With more than 15 years of experience installing high-quality fences and serving residents in Tampa, Lakeland, and the surrounding areas, we’ve earned a reputation as a company that provides high quality work and delivers excellent customer service. Many of our clients are so happy with us that they use our services again in the future or recommend us to friends and family. All of our fences are 100% made in the USA and are also manufactured and fabricated locally by seasoned professionals. We are dedicated to only offering exceptional, durable products installed by efficient, professional workers. We offer a variety of different products so we can customize your fence to your exact specifications. Why Hire the Fencing Professionals From Florida State Fence? We Believe That Fences Make Better Neighbors! You may be interested in having a fence on your property, but just don’t have the time to do it yourself. Installing a fence may seem like a lot of work, and that’s why so many residents and business owners in the Lakeland area trust us with the job. You can also improve the appearance and value of your property by adding a fence. We’d be happy to offer you an estimate if you’re considering our fence services. With locations in both Tampa and Lakeland, we’re proud to serve residential, commercial and industrial clients throughout Tampa, Lakeland, Winter Haven, Davenport, Brandon, Carrollwood, Land O’Lakes, Riverview, New Tampa, Odessa, Varico, Wesley Chapel and the surrounding areas. Very glad I chose Florida State Fence to install the fence at my home. They made the entire process super easy with handling all of the HOA paperwork and permits. The owner of Florida State Fence, Jeremy, came out to my house and measured the yard himself. He talked to me and my wife and educated us on the types of fences we could, and could not have in our neighborhood, Waterset. As a business owner myself, I really appreciated the level of professional and personal service we received. I'm so glad my neighbors suggested them. I would highly recommend them! The customer service was amazing! They answered all of my questions, and my fence turned out beautiful!! Thank you Florida State Fence!! We had an excellent experience with them when they installed our aluminum fence over a year ago. It's been a great quality fence for a great price and we have had zero issues. They helped us with our hoa approval paperwork too and that was a huge help! Highly recommend them. Great company to Law Enforcement. Would highly recommend Florida State Fence. Did a great job on a commercial project I had them work on. It started with Kerstin, whose professionalism really set the tone for the whole project. She walked around the property with me, drew a diagram and measured the layout to give a very accurate quote. I needed to change the layout so she came back out and did that with no problem at all. On install day, they completed 300+ feet of fence install in just about 5 hours including cleanup and then Kerstin came by for another walk around the property to make sure it was perfect. And it was!!! Buddy our sales rep was on top of it always. Great communication from start to finish. Andy & Align -- our install guys were excellent as well. They were on time, worked hard and made sure I was happy with the final job. Price was great too. 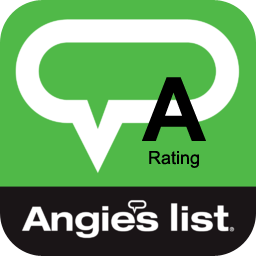 I would definitely use them again and will recommend to all my friends. Thanks guys! Excellent service and pricing. Derek and team did a great job on our 4ft high vinyl fence. Everything was exactly as promised and the install team left the area clean and tidy.